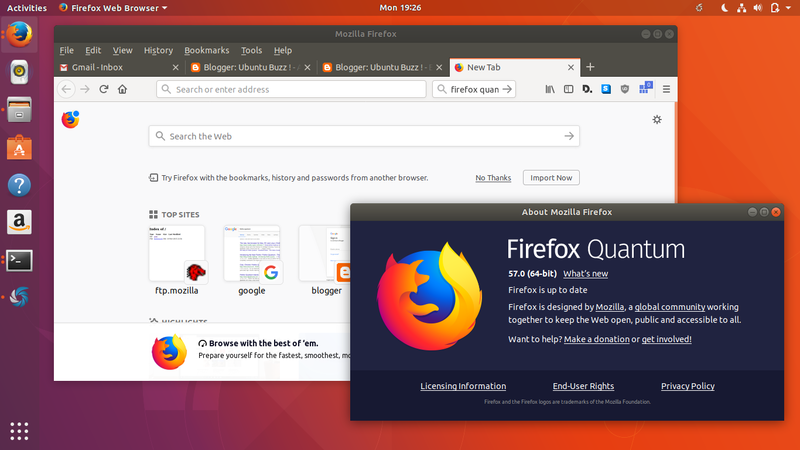 Firefox Quantum v57, the latest version of Firefox, is already available at Ubuntu official repositories (for 14.04, 16.04, and 17.10). Also, it's officially available (from Mozilla) as binary executable for all GNU/Linux distros both 32bit and 64bit. For most users, you just need the Method 1 below to upgrade your old Firefox with the latest v57. 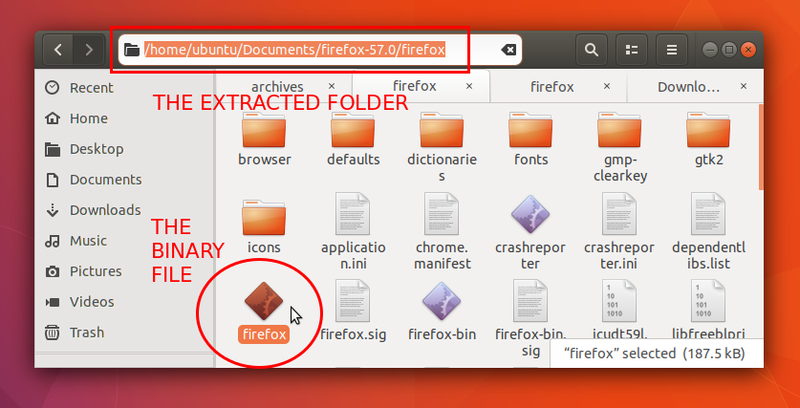 But for some users, if you don't want to lose your old version (because v57 is not compatible with many previous version's add-ons), to keep both old and new Firefox in one system, you can use Method 2 below. 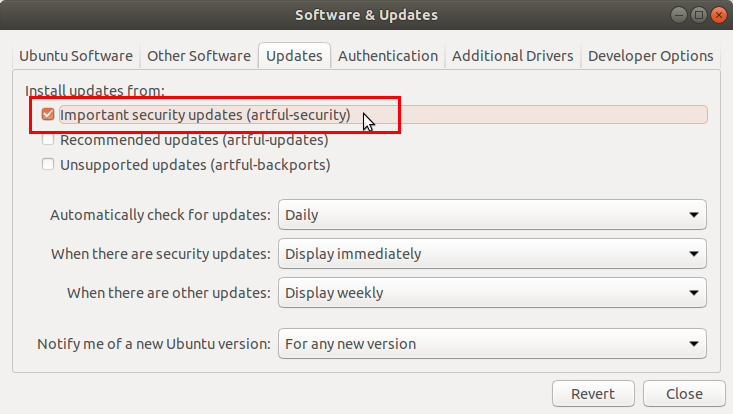 1) Make sure the "security" official repo is active. 4) Run Firefox 57 from the menu. 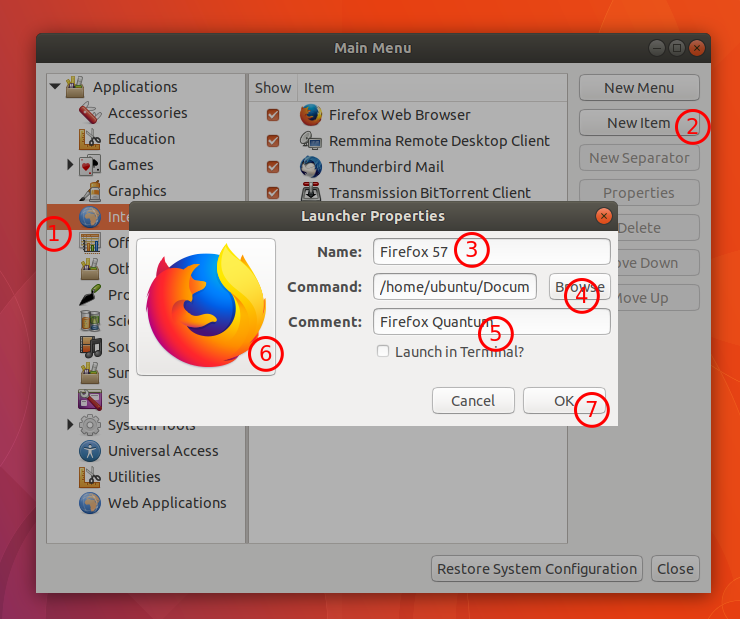 4) Follow additional steps below to add Firefox 57 to Ubuntu menu. These steps are only for you installing Firefox 57 manually so you can find it on desktop menu.